The best advice might be to hire a professional, but it’s not always financially feasible. Here are five tips to make your ecommerce product photos better. If you think blurry, poorly-lit and otherwise bad ecommerce product photos won’t affect sales, think again. Studies have found that people tend to remember just 10 percent of what they hear, 20 percent of what they read but a whopping 80 percent of what they see. In fact, most people process visual images (like ecommerce product photos) 60,000 times faster than text (like ecommerce product descriptions). It’s time to brush up on your skills and take better ecommerce product photos so you can boost sales. 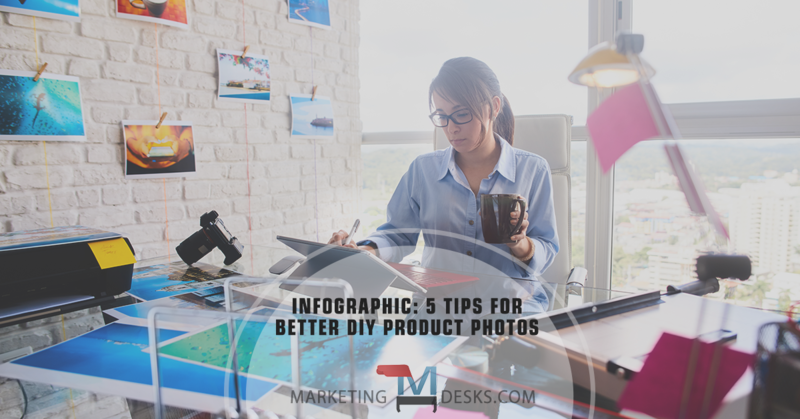 Check out these five tips that can help you do just that, then scroll down to see Sparkpay’s DIY Product Photography 101 infographic. Clear the clutter! Any unrelated objects in the photo could distract from your product. Think about what would make your product look best and find the right backdrop. A plain, soft white surface and background are best for displaying objects. If your product happens to be predominately white, you may want to use another solid color like grey or tan. Advanced Tip: Make sure at least one of your photos shows the product on its own against a plain background, then add a few additional photos showing the product in use or with representative business context or lifestyle. Make sure all of your photos accurately represent the color and other details of your products. Do not use blurry images or photos taken in poor lighting. Make sure the viewer is going to be able to see the item clearly and have a basic idea of what it is from looking at the photo. Advanced Tip: If your product comes with color or accessory options, take one shot which accurately represents each variation. Great product photos will make you and your business look more professional, and you need professional equipment to make them shine. Best advice is to use a point-and-shoot or DSLR camera, not a smartphone. Photos taken using a smart phone usually won’t have the right resolution for creating professional looking images. If buying is cost-prohibitive, you might be able to find a camera to rent which would work fine if you can take all your shots at once or won’t need to take new photo shots frequently. Also, if you are not great at taking photos, find a friend who is or hire a local photographer. For products like clothing, shoes and jewelry, try to find someone to model the items. Again, identify a simple backdrop like outside in front of a brick wall and make sure your camera is set up to properly focus on the person. If you don’t have a model, lay the clothes flat and take photos from above. You could use a dress form or mannequin but these can make clothes take on odd shapes and generally are not aesthetically pleasing. Take multiple photos and be sure to include all sides of the items. No matter how great your ecommerce product photos are, you need to provide a fairly detailed description of your items. This helps immensely when it comes to online search and can answer questions buyers might have. If you’re using a model, provide basic information like the height of the model and clothing size the model is wearing. If you aren’t using a model, provide basic measurements (chest, waist, hips, length, etc.) 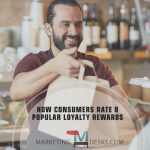 These details will help your customers know which size to order and cut down on returns due to items not fitting. You can also provide measurements for things like shoes and jewelry as numbered sizes can vary and indicate whether items tend to run wide or narrow, big or small. Also be sure to include details like what materials the item is made of. For non-wearable items, provide size measurements of your items. Describe the color of the items and include a list of all materials the item is made of. It can be hard to tell the difference between glass, plastic or metal from a photo alone. If you are selling a functioning item make sure you list all capabilities of the item, how it should be used and other products it may be compatible with especially if you are also selling those items. When listing measurements or spec details you should use a list format, not a paragraph. Also, please make sure to proofread! Misspelled words and improper grammar will make your business seem unprofessional. 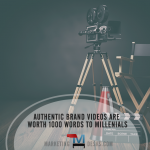 Authentic Brand Videos are Worth a Thousand Words to Millennials Which loyalty rewards actually bring customers back?